With the weather warming up after Spring Break, it's time to get your bike out again! Make sure it's in good working order by taking it by our first Mechanical Monday of the semester. We're happy to help with basic bicycle fixes, including getting your tires pumped up, getting your chain lubed, fixing flats and adjusting brakes. 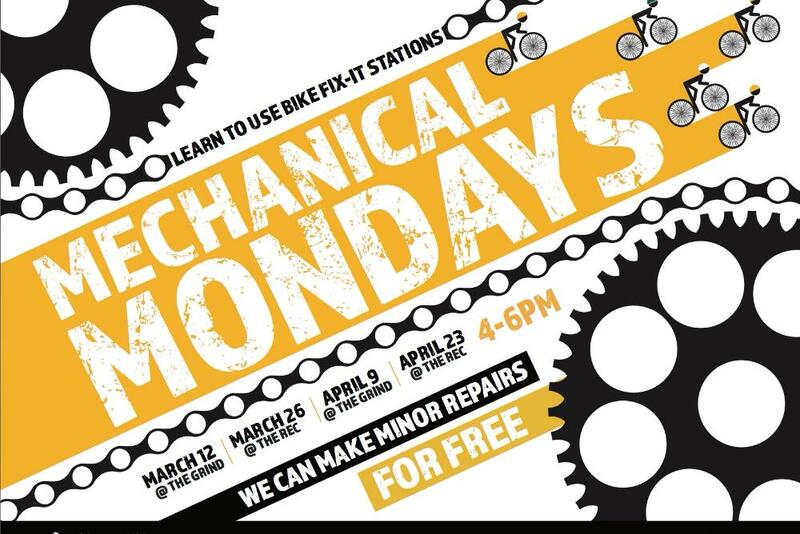 Our mechanics will be giving hands-on demonstrations so you can feel confident about how to do these simple fixes yourself in the future!